Jupiters Hotel and Casino is strategically placed in magical geographic and extensive opens spaces that attract visitors from far and wide. The serene environment and beaches surrounding the locality and the outback are some of the scenery that you can never have enough of them. The Hotel, situated in the Southern Hemisphere accommodates visitors from all over the universe. The natural beauty and massive infrastructure is fascinating. As a visitor, expect to be treated with the top notch services during your stay. 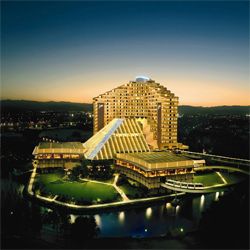 To begin with, let’s take a deeper look at one of the biggest hotels and Casino in the Broadbeach on the Gold Coast. Jupiters Hotel and Casino is the ultimate casino for Australians. It combines both a casino and a club. The premise is situated in strategic suburbs of the Broadbeach on the Gold Coast in Queensland, Australia. The casino was one of its kinds to be set up in Queensland and is operated by ECHO Entertainment group. The doors of the Jupiters Hotel and Casino were opened to the public partially in 1985 November and officially opened in February 1986. The premise has undergone massive developments over the years, and the recent renovations cost more than $53 million. This has seen the establishment of a casino complex with two gaming floors double the size what it was before the renovations. The hotel has been equipped with high-class bars and hotel rooms that offer a VVIP treatment. Stepping onto Jupiters Casino is enough to give you a thrill of a lifetime. The gaming hub combines glamor, sophistication and style that are an ingredient to all gamblers. Inside the hub, there are more than 70 table games, and over 1,600 pokies on offer all on one level. With such a huge number of gaming machines, you are sure to get a seat in your favorite game. You get the chance to enjoy some of the most recent games such as the dragon fish, wheel of gold, pink panther returns, players’ paradise, jackpot jewels, and royal diamonds among others. It is only at Jupiters Hotel and Casino where you are sure to find table games in the whole of the Gold Coast. Catch your favorite blackjack, Texas Hold’em poker casino war or any other table game that you find fascinating. 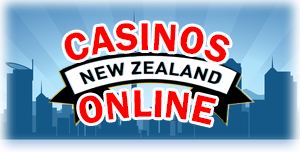 It is also in Jupiters Hotel and Casino where you are sure to get the ultimate private gaming. There are three private gaming rooms that offer exclusive gaming experience. The suite comprises of a club and other amenities that can only rate as being five stars.